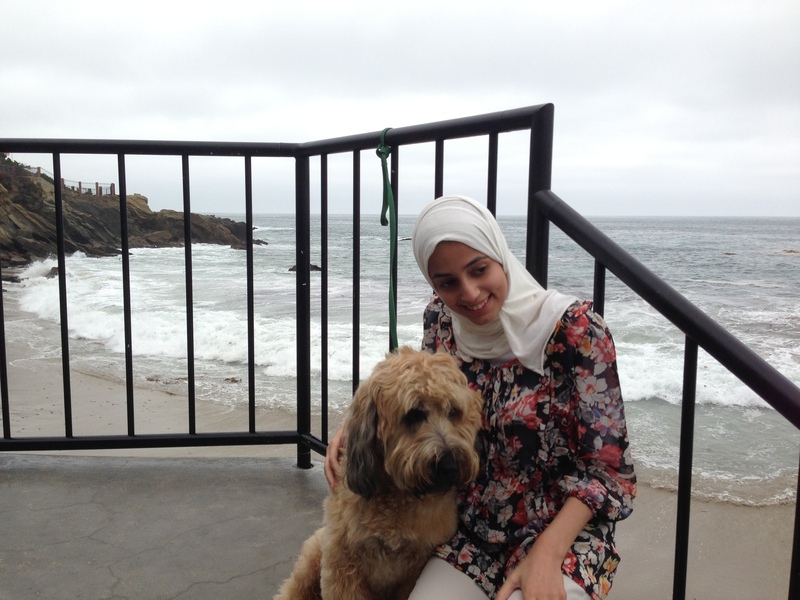 I’ve been spending most of my time in San Francisco, Laguna Beach, and points in between including a few trips on Interstate 5. Life’s been good. Made a lot of new friends. Eating well. Still exercising, although there are occasional days I don’t really feel like it. I see old friends now and then but not often enough. Life goes by fast, you know. We need to be in touch better. 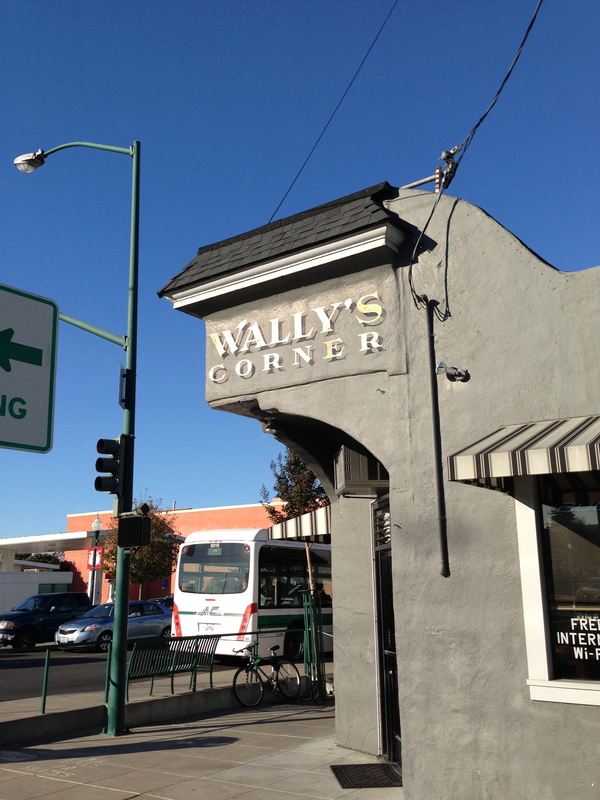 Across the Bay in Alameda, a very well located and patronized corner with a great brand! 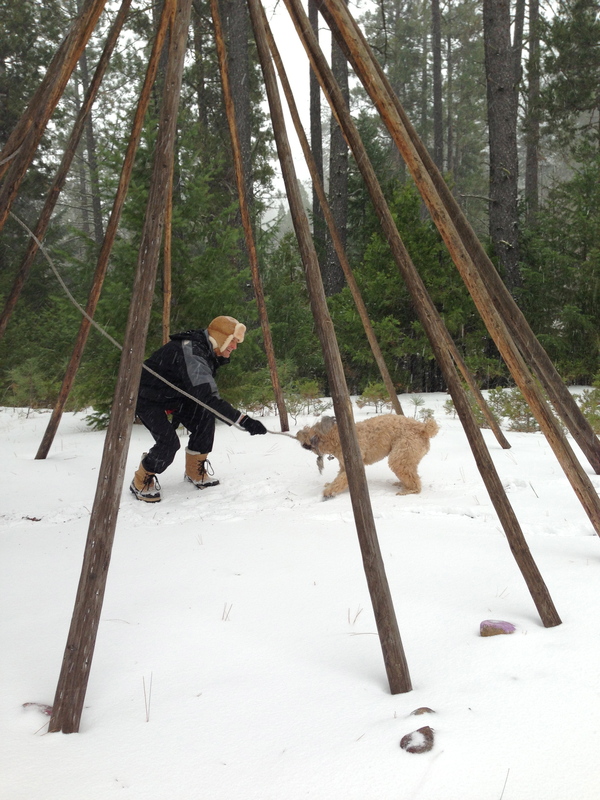 Winter up near Weed, CA, the teepee is down but the landlord still likes to have fun. 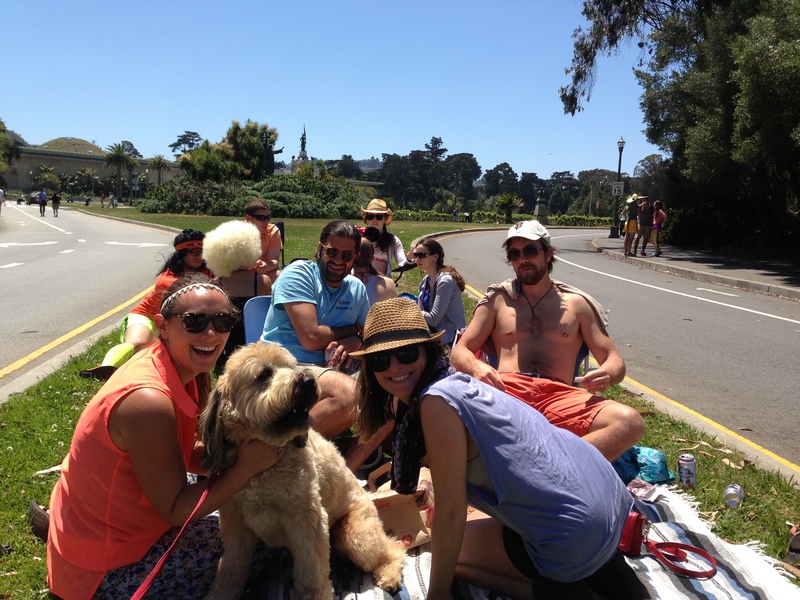 On a spring day on our way to a Golden Gate Band concert, I was diverted by this fun group. ‘Twas an overcast autumn day but that didn’t limit our friendship-making. The brother of one of my guardians, who was visiting from far away, invited me to come a little closer. 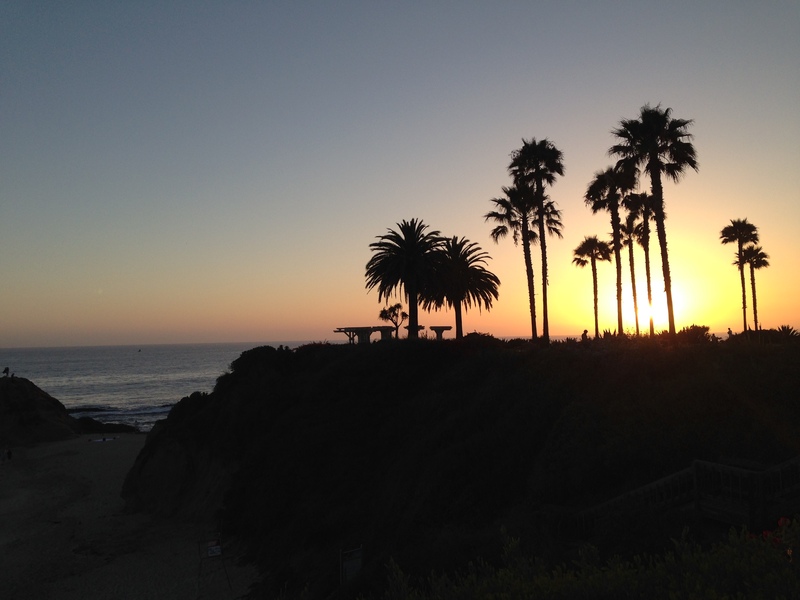 Winter sunset from a favorite walk, Treasure Island Park, just seaward of the Montage Resort in Laguna Beach. 1 Response to Checking in…. 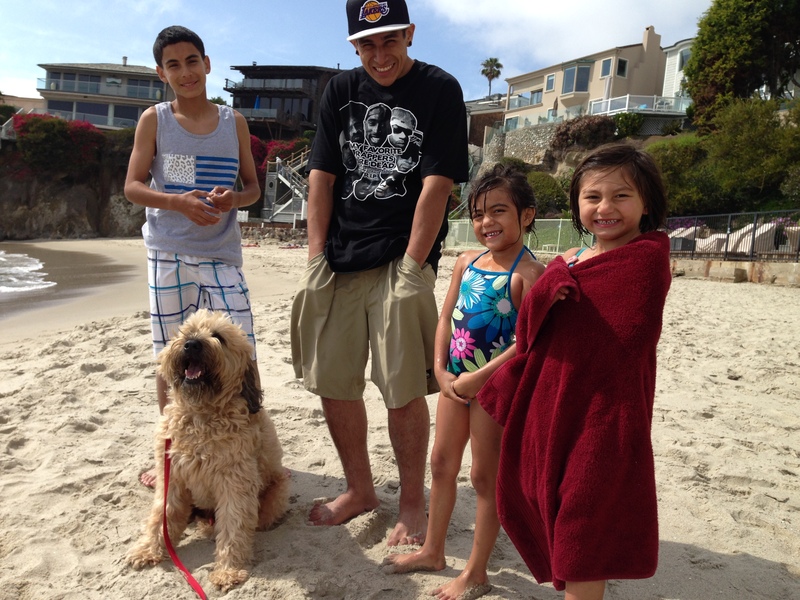 Hello Mr. Wally, We met your parents today. What lovely people they were. 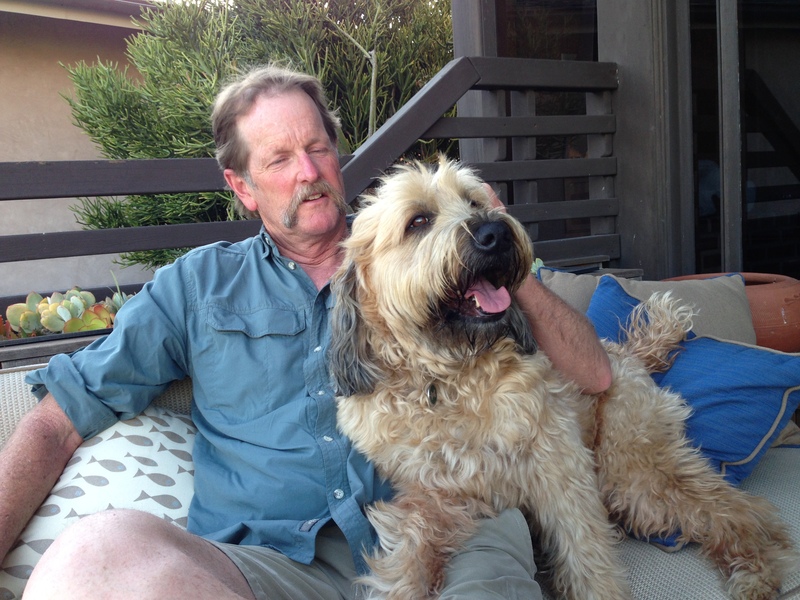 We invited them to come visit us at our ranch in Bend, Oregon. We hope you can come, too.